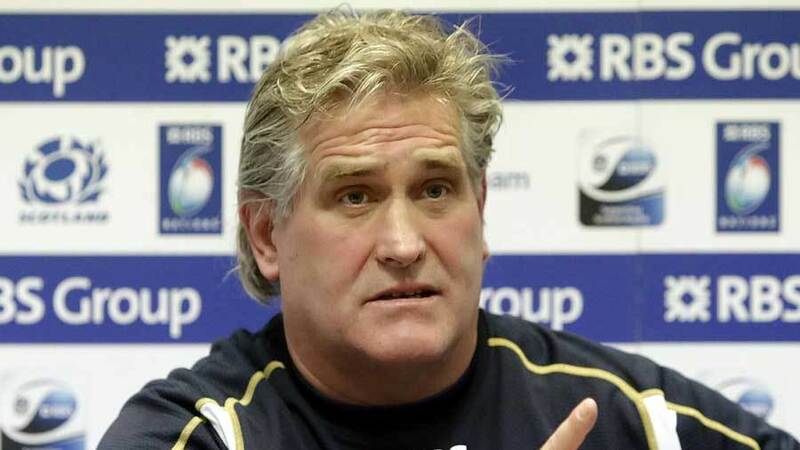 Scotland director of rugby Scott Johnson has shrugged off the waves of criticism levelled at him saying "I don't really care what they say about me". Scotland are currently without a win in the 2014 Six Nations and were on the wrong end of a heavy defeat to England in round two of the championship. The 20-0 loss caused ex-Scotland prop Peter Wright to call Johnson a "joker" while Sir Clive Woodward said Scotland would struggle to beat any of the Aviva Premiership sides. But despite this criticism, Johnson has shrugged it off. He said: "I haven't given it a second thought to be honest. All I care about is the team - did we perform well? We didn't. Should we be disappointed? Yes we should. "It's amazing - the people that judge you the most know you the least. I am happy with who I am. I'm not changing. And I don't really care what they say about me. "Everyone is entitled to their opinion, I'm not going to hold it against them. The people I care about are the people that are close to us." Scotland travel to Italy this weekend in a match some have dubbed a 'Wooden Spoon Decider' and Johnson has made three changes with Kelly Brown still absent from the matchday squad. One person to profit from the alterations has been Richie Gray who is back in the matchday squad and he has admitted Johnson was right to tell him to improve on certain aspects of his game. "It's been frustrating but I'm delighted to be back," Gray told Press Association. "It was disappointing to be left out because everyone wants to be involved. The first couple of days, you bump your gums and say, 'Nah, he's not right'. "But Johnno was right. He wanted me to work defensively, work on the breakdown. You have to take those points on board and all you can do then is work on it. Hopefully I've done that and now I've got an opportunity to get back in the team."